Please refer to our stock # TBD00220 when inquiring. 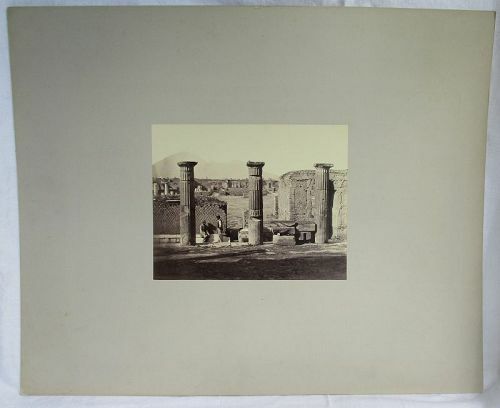 A very good quality image, found with a group of other Italian architectural images mounted on the same grey stock, though most of them were on larger pieces of stock. I suspect that they were part of an institution’s collection. This image is far better quality than most of the images that were sold to tourists.